Thiruvananthapuram: If the coming Lok Sabha poll is a do-or-die battle anywhere in Kerala for all three fronts — ruling LDF, Opposition UDF and the BJP-NDA, it is at the prestigious Thiruvananthapuram constituency, which is expected to witness a fierce tri-cornered fight between heavyweight candidates. With the Congress-led UDF's incumbent MP, Shashi Tharoor confidently seeking a third stint from the constituency, and the BJP veteran Kummanam Rajasekharan and CPM-headed LDF nominee and sitting MLA, C Divakaran making all possible efforts to thwart his hat-trick dreams, the result is beyond any prediction. Located at the state's southern-most end, Thiruvananthapuram Lok Sabha constituency, which stretches from the shores of the Arabian sea to the slopes of Western Ghats, has a total of 13,34,665 voters. The vast segment, covering urban, rural and coastal areas, comprises seven Legislative Assembly segments — Kazhakoottam, Vattiyoorkkavu, Nemom, Parassala, Kovalam and Neyyattinkara besides Thiruvananthapuram. According to electoral history, no party can claim that Thiruvananthapuram Lok Sabha constituency was their fortress as it had chosen the nominees of both the Congress and the CPI, the second largest partner in the LDF, several times. If the UDF can hardly think of anything other than retaining their sitting seat this time, it is a matter of pride to wrest back the constituency for the LDF, which had gone to a distressing third position behind the BJP there during the 2014 general elections. As far as BJP is concerned, Thriuvananthapuram is one of the few seats they are pinning their hopes on the most for the lotus to bloom by cashing in on a range of matters from the Sabarimala women's entry issue to various development initiatives implemented by the Narendra Modi government during its last five-year rule. For Tharoor, retaining the constituency, from where he has emerged triumphant two consecutive times, may not be a cake walk this time as his rival candidates are equally popular among the voters and are leaving no stone unturned to ensure every single vote falls into their kitty through intense campaigns. The former UN diplomat had won by scoring a massive majority of 99,998 votes during his maiden contest in 2009. But, the margin had a drastic fall to over 15,000 during 2014 general elections as BJP veteran O Rajagopal had given him a tough fight till last moment. 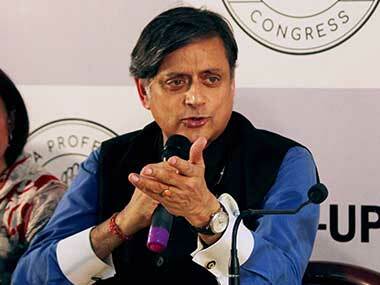 However, Tharoor believes that he could improve the majority this time and the people of the constituency were fully aware what he had done for them in the last 10 years. His high profile personality, image as a global persona and the active intervention in the constituency's various issues ranging from instrumental in bringing IT majors to remove the hurdles in the national highway development, are expected to impress a large number of voters especially of youths. Meanwhile, BJP is banking on the popularity, clean track record and the down-to-earth personality of Rajasekharan, who recently resigned as the Mizoram Governor. 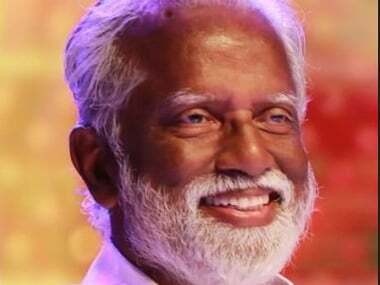 The saffron party is also pinning its hope on Rajasekharan's close connections with leaders of various communities, an influential factory in the constituency and his long-drawn association with the segment as an RSS man. 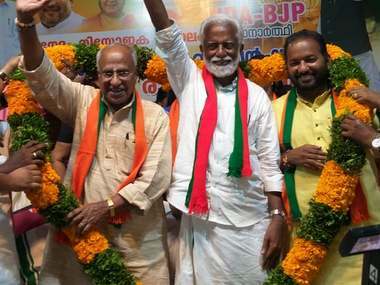 Also a former president of the BJP's state unit, Rajasekharan said not just the Sabarimala issue but the anti-government sentiments against the Pinarayi Vijayan-led LDF rule and the Modi government's welfare initiatives especially its contributions to the infrastructure development of Kerala would favour him during the polls. A known face in the constituency and an established trade union leader, Divakaran, the LDF nominee, alleged that Tharoor had failed to meet the expectations of the people. 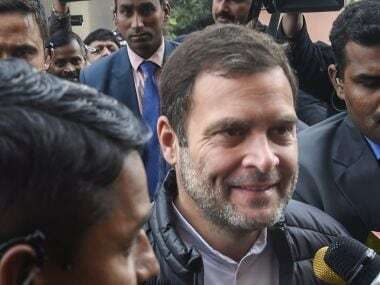 He also believes that people would reject the BJP's campaign by raising the Sabarimala women entry issue and the alleged adamant stand taken by the LDF government in implementing the Supreme Court verdict, permitting women of all age groups into the Sabarimala Lord Ayyappa temple, ignoring the sentiments of devotees. Divakaran said various welfare initiatives being implemented by the Vijayan government, his tackling of emergency situations like August floods and the 'anti-incumbency wave' against the Modi government would help him win the seat. Besides the party and neutral votes, the community votes are also expected to be a game-changer in Thiruvananthapuram. As per the 2011 census, Hindus constitute 66.46 percent of the total population of Thiruvananthapuram district, Christians 19.1 percent and Muslims comprise 13.72 percent. The swinging of votes within these communities can influence the poll results. 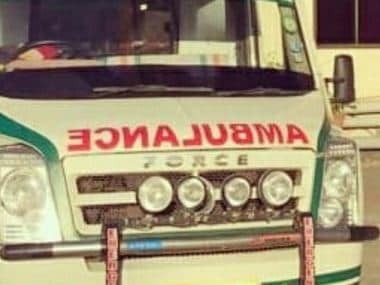 The BJP is largely harping on the Nair votes in the backdrop of the Sabarimala women entry issue as the Nair Service Society (NSS), the supreme outfit of the community, had declared that it would support those who had campaigned to protect the rights of devotees and faithfuls. Thiruvananthapuram has sent to Parliament veterans like VK Krishna Menon (1970, as a Left-backed independent), MN Govindnan Nair (CPI, 1977), K Karunakaran (Congress, 1998) and PK Vasudevan Nair (2004). At the same time, the constituency has proven to be a slippery ground for high-profile contestants like Govindan Nair (CPI, 1980) and Jnanpith laureate ONV Kurup (CPI). The constituency, sharing border with Kanyakumari district of neighbouring Tamil Nadu, has a total of 13,34,665 voters including 6,90,695 women and 31 third genders, according to Election Commission figures.